St. Stephen's Basilica, neo-classical in design and opened in 1905. Named for the first king of Hungary who died in 1038, his 'incorruptible right hand' is here, a relic, and point of pilgrimage for the faithful. When I tried to get into the place where I thought it was a cleaning lady shooed me away, so maybe I'll try again on that one too. 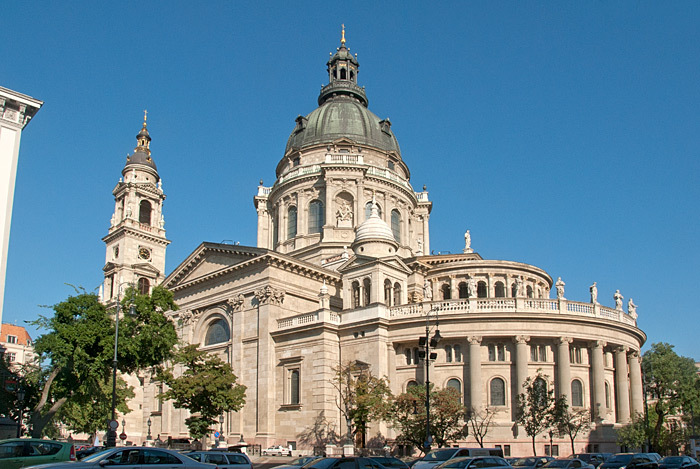 Ms Wiki says that there is a law in Budapest stating that no building can be taller than the Basilica and thinking back I can't remember seeing any that are. Can that be?